Let’s assume I have a variable called ‘a’ , which looks for some value. 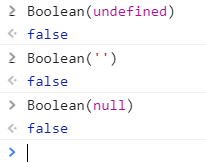 I have seen lot of developers is trying check condition like above to ensure we are getting the expected value we want.Do we really need to check the value a undefined and null and ” ?. What will be the result of Boolean(0)?